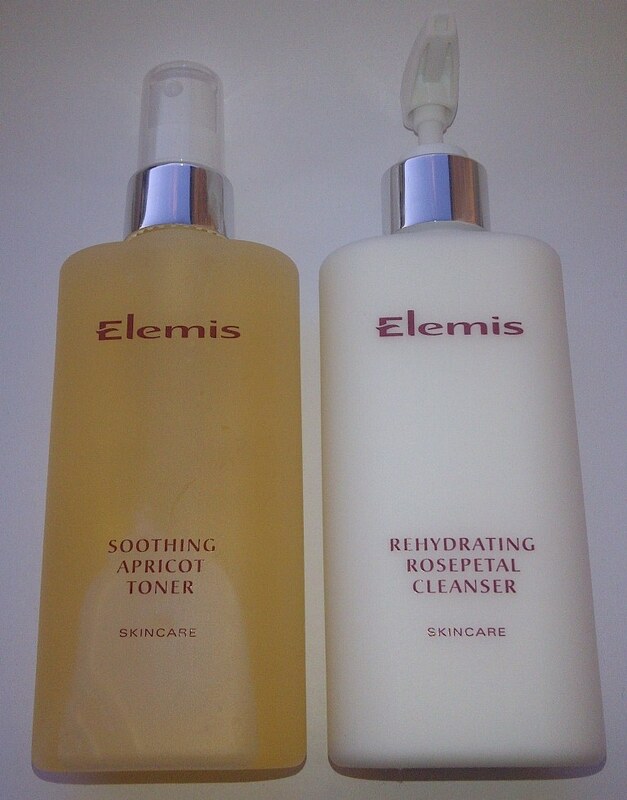 Since the beginning of this year I have been using this duo of Elemis Reyhdrating Rosepetal Cleanser and Soothing Apricot Toner in conjunction with the Elemis Maximum Moisture Day Cream. All of these items were in the Supreme Glow Christmas Gift Box. Active extracts of healing Rosepetal, Lecithin and Vitamins E and F replenish moisture levels, whilst gently purifying the skin. Elemis Rehydrating Rosepetal facial cleanser is a rich, aromatic Cleansing Milk that helps restore the youthful bloom to dehydrated and mature skin. This cream cleanser is heavily scented with a traditional rose scent so if you don't like rose you will not like this. Luckily rose scents do appeal to me. A cream textured cleanser, which you apply onto the skin and then use a damp muslin/face cloth to remove. It feels so soft and gentle to use, I find it to be an effective cleanser and leaves my skin soft and comfortable feeling. Although I liked this product, I didn't love it enough for it to make an appearance on my beauty essentials page. Elemis Soothing Apricot Toner has extracts of fragrant Apricot soothe and harmonise, giving rise to a fresh sensation and radiant appearance. Ideally suited to extra-sensitive, delicate and hormonal skin. This alcohol-free toner is so gentle, it may also be applied to cotton pads for a soothing eye treatment. Absolutely lovely toner with a delicious apricot scent. I find it incredibly gentle on my skin and soothing,whilst the scent is refreshing. The pump action spray is handy and the product comes out as a fizzy, frothy foam before calming down to a liquid on my cotton wool pad. I like this a lot. I really like the sound of this toner, it's been on my list of things to try and now that I'm about to run out of my current toner it might be time to take the plunge.